When salt comes into contact with water it lowers the water’s freezing point. 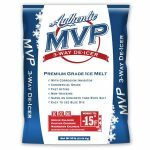 Because of this property, salt will always be a crucial component in ice melt application. 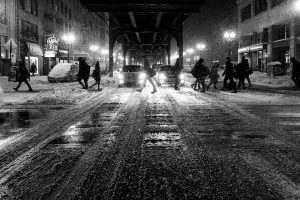 In wintry conditions, businesses strive to keep their customers safe outside their storefronts by eliminating ice and the possibility of slips and falls. To decrease the chances of such an occurrence, businesses believe as much salt as possible should be used. A company specializing in ice melt knows this is not the case, that there is a formula to achieving optimum results. As much as snow and ice management professionals look to appease their clients, they need to explain the detrimental aspects of applying too much salt and let the client realize that there is a skill to proper ice melt application. Prudence is as important as safety. Applying too much salt wastes not only the product, but also money, and more importantly, an overabundance of salt creates loose, slippery footing and the one thing everyone is hoping to avoid – a slip and fall. Proper ice melt application not only takes into account the immediate concern of customers, but also the future of the environment. Excess salt seeps into the soil and eventually reaches lakes, streams, and groundwater supplies, affecting plants and animals by reducing the quality of water. Once salt is in a body of water, it is nearly impossible to remove. Snow and ice management professionals that utilize proper training and then implement the best practices for ice melt application save both them and the client time and money, along with helping save the environment. When it comes to ice melt application, sometimes less is more.